STAGES Youth Theatre Company students, podcasting. 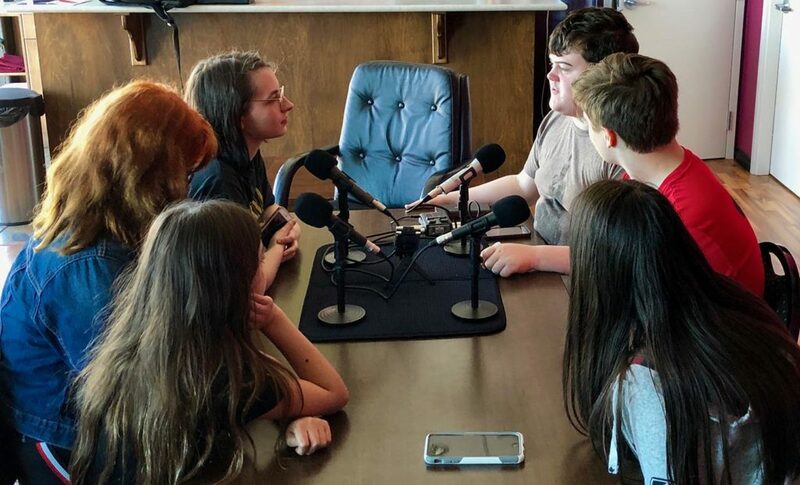 STAGES Youth Theatre Company is opening “GEN Z”on Friday, April 5, 2019 – running over two weekends of Friday and Saturday night shows, and Sunday matinees, through to April 14th at The Capitol Theatre. Tickets available at the box office before each performance. Check out the STAGES Facebook page for tons more information and promotional videos that the students have prepared.